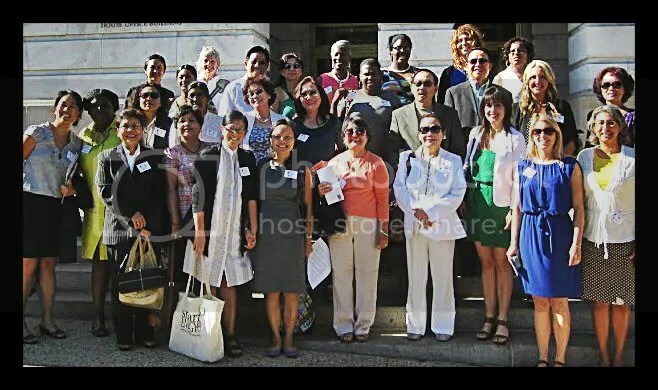 In July, the National Healthy Nail and Beauty Salon Alliance and the Campaign for Safe Cosmetics headed to Washington, D.C. to lobby for passing the Safe Cosmetics Act in an attempt to protect salon workers and consumers from toxic chemicals. 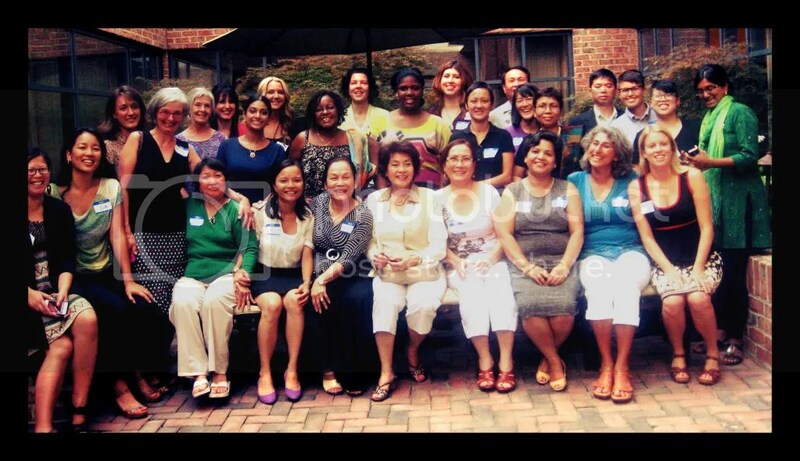 Jennifer and Dawn were invited to join them, as well as co-conveners to the Alliance such as The California Healthy Nail Salon Collaborative, National Asian Pacific American Women’s Forum (NAPAWF), WE ACT, Black Women for Wellness and Women’s Voices for the Earth (WVE). Everyone joined together, along with affected hair and nail salon workers, such as Jennifer and Dawn, creators of “Pretty Toxic,” on Capitol Hill. The Salon Week of Action served as a means for affected and interested parties to unite and voice their concerns, while trying to spread awareness and garner support for the Safe Cosmetics Act. Salon products are not required to list their ingredients on their labels, which means that workers and clients are often exposed to toxic chemicals that have detrimental effects on their health. If passed, salon workers would be safe from toxic chemicals, as harmful ingredients would be phased out. Health standards would be raised, labeling loopholes closed and the FDA would have mandatory recall authority to ban and remove dangerous products, such as the Brazilian Blowout. The group spent time meeting with various representatives and government officials on Capitol Hill, telling their stories and voicing their concerns. 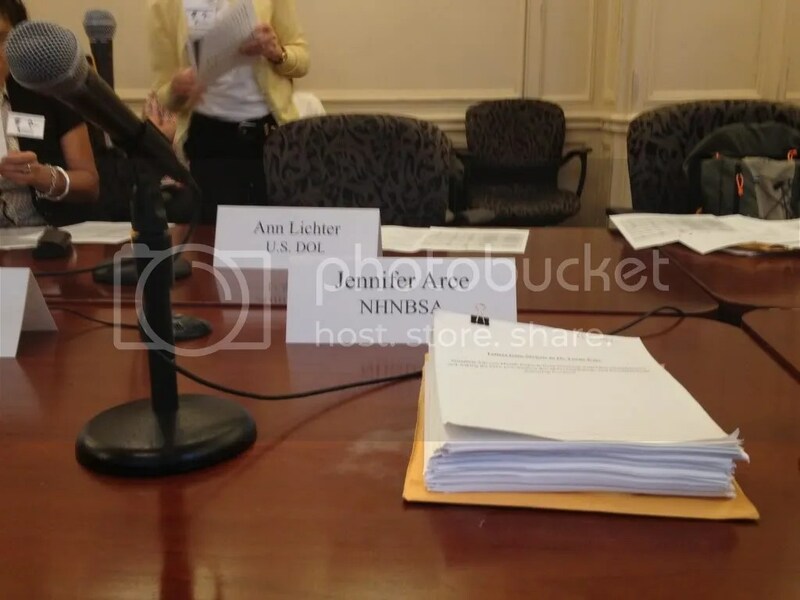 Also, they met at the EPA Building for an Interagency Working Group on Salon Worker Health and Safety meeting. 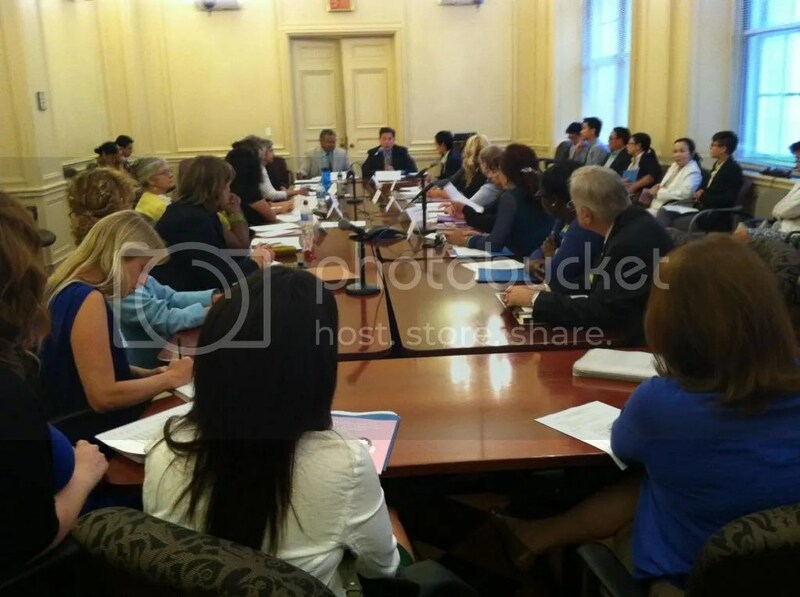 Sitting amongst them was White House Cabinet Secretary Chris Lu and Assistant Administrator of the EPA, Mathy Stanislaus. For two hours agency efforts, commitments, updates on issues and advocacy efforts were discussed. 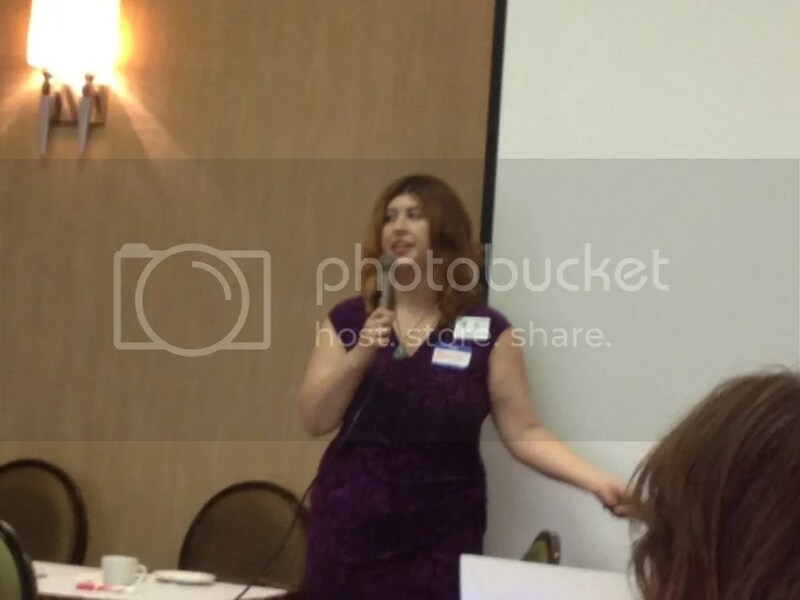 Among those in attendance were Dr. Linda Katz of the FDA, Leslie Nickels of NIOSH, Ann Lichter from the US Department of Labor and Debbie Berkowitz from OSHA. Affected hair and nail salon workers, including Jennifer Arce, were able to speak and present their ordeals to the table. 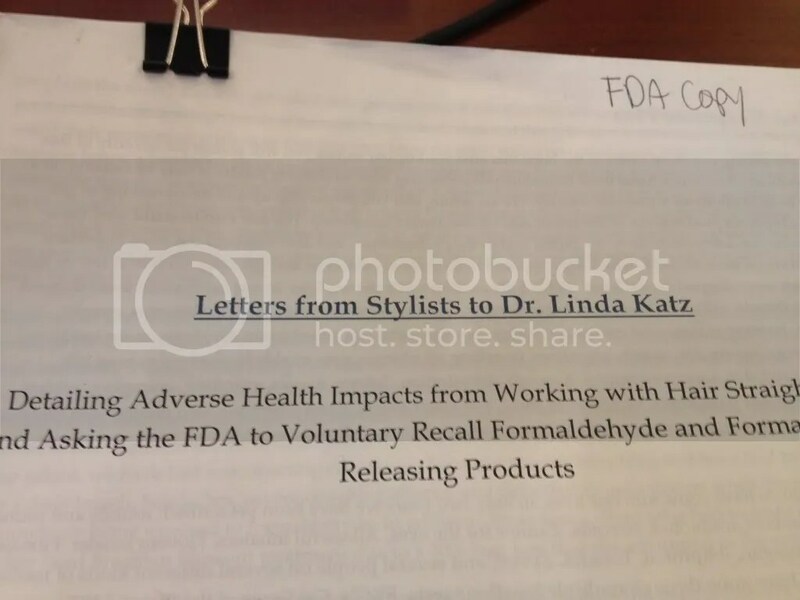 Jennifer also presented a stack of letters written by sick salon workers around the country who have been affected by Brazilian Blowout and other formaldehyde containing Hair Smoothing Treatments and are pleading with the FDA to take action. These letters were submitted to Dr. Linda Katz of the FDA during the EPA Meeting. It was crucial that Congress hear first hand the devastating effect of toxic chemical exposure. When companies, such as Brazilian Blowout, lie to consumers about the ingredients in their products the public is put at risk against their knowledge. All it takes is just one instance of exposure to significantly impact a person’s life forever. Raising awareness of these salon hazards was a great step in helping to push for support of the Safe Cosmetics Act. The last day of action was spent convening with the Alliance, organizations, salon workers, owners, researchers, agency allies and other stakeholders to present information, ideas and experiences. Recommendations and suggestions were created in an attempt to further the movement. The Salon Week of Action served as an incredible step towards progressing further with creating safe salon environments. Jennifer and Dawn are proud to have been a part of this movement, and they continue to do further research, educate others, and stay active with their participation in the cause. Is there any type of air filteration system such as a sourch capture that eliminates harmful chemicals and one that has an efficiency rating? I spoke to a company and they said that they are not tested for efficiency rtatings because it cost to much money and that not enough stylist use this equipement to be able to afford the company to pay for the testing. Surely there should be equipment out in this world somewhere that harmful chemicals can be filtered out or some hair colors that is made with out harmful chemicals. I have been looking for weeks on the internet and I am very exsausted. Please reply to me.